Sierra Leone, a country in West Africa, had its own system of slavery which was not part of the slave-trade. This image depicts one of the ways in which a person could become a slave. If the King and his counselors found a defendant guilty, following a trial, that defendant could become a slave. To be sure the trial was fair, and the judges were impartial, the parties to the case had to wear masks. See the link, at the top of this chapter's Media Stream, to learn more about this illustration. West Africans (this is a BBC link, see footnote* below for more details) had traded with Europeans through merchants in North Africa for centuries. 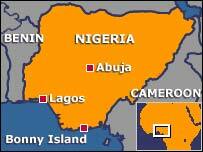 The first traders to sail down the West African coast were the Portuguese in the 15th century. Later the Dutch, British, French and Scandinavians followed. They were mainly interested in precious items such as gold, ivory and spices, particularly pepper. The kings of Dahomey (known today as Benin). In 1726, for example, it is said that the king of Dahomey agreed to supply slaves if Europeans established plantations in his kingdom. The type of slavery which existed in Africa, before European slave-traders descended on the continent, "had a social and cultural context, rooted in kingship, which imposed definition and restraints on the slave master relationship." It was not, in other words, like the chattel slavery which later took hold in the Americas. The peoples of West Africa had a rich and varied history and culture long before European slavers arrived. They had a wide variety of political arrangements including kingdoms, city-states and other organisations, each with their own languages and culture. Art, learning and technology flourished and Africans were especially skilled in subjects like medicine, mathematics and astronomy. As well as domestic goods, they made fine luxury items in bronze, ivory, gold and terracotta for both local use and trade. With stern rudders, helmsmen could more easily steer their vessels. With three masts and many sails - instead of one mast and one large sail - a crew could more easily manage their ship. From their first contacts, European traders kidnapped and bought Africans for sale in Europe. However, it was not until the 17th century, when plantation owners wanted more and more slaves to satisfy the increasing demand for sugar in Europe, that transatlantic slaving became the dominant trade. What prompted Europeans to think it was acceptable to kidnap Africans, treat them in the most barbaric ways and then sell them, as though they were cattle, in foreign lands? * The Story of Africa, told by Africans, is a major BBC series. The link takes you to the index of programs - each lasting approximately thirty minutes - which you can hear online. Bos, Carole "AFRICA, BEFORE SLAVERS" AwesomeStories.com. Jan 01, 2007. Apr 19, 2019. What Kind of Slavery Existed in Africa before European Slave-Trading? How Did Technology Contribute to Slave-Trading?